Fall is finally here and soon the leaves will change colors in San Antonio. Having a selection of large trees on your property can really make your home look beautiful. Unfortunately, those same large trees can also be hazardous to your gutters. Storms and wind can blow leaves and branches from those trees into your gutters, where they do an effective job of clogging the system. When the gutters get clogged, rainfall has nowhere to go but down the side of your house and into your foundation. And that’s bad news, because in the long term all that water will cause problems with mold, rotting, cracking and other issues that will be expensive to correct. Sometimes the water in the gutters even backs up onto the roof, which means you could get roof damage or a leak into your house. With all this in mind, it’s vital to understand the importance of cleaning your gutters. Fall is no time to skimp on gutter maintenance. 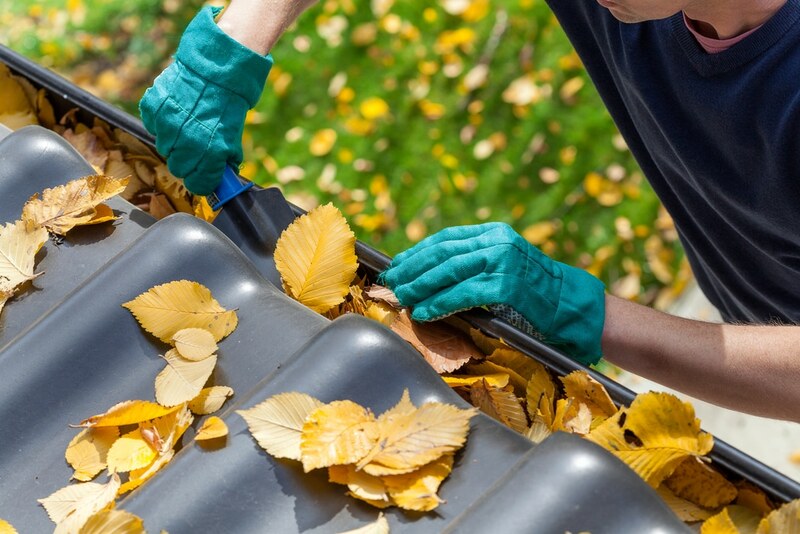 Think about how much time you spend raking leaves, and then think about your gutters. Three fall cleanings will help keep your home protected and remove all the clogs caused by debris and leaves that collect throughout the season and help prepare them for the winter freeze. As the seasons get cooler, there’s typically an increase of precipitation that cannot be ignored. To keep the foundation of your home safe from water damage, make sure your rain gutters are in top condition. This includes removing debris from the gutters, and checking the downspouts for potential problems. During a rainstorm go outside and watch how the water falls off the roof. The majority should be flowing through the downspouts without any issue. 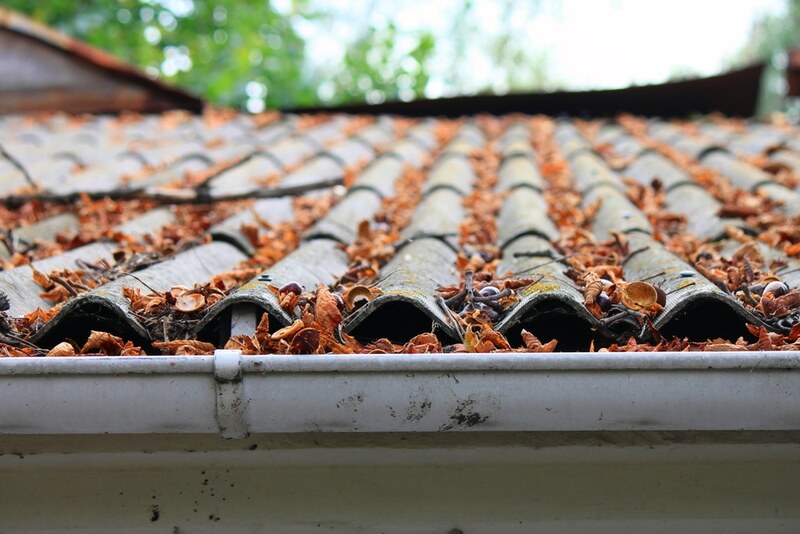 Cleaning your gutters includes removing all debris from the gutter, such as leaves, sticks and excess amounts of dirt. If these items are in the gutter channel, rain and water may not be able to flow through the gutter. The biggest problem with this is that in freezing temperatures, this water can freeze. And as it freezes, and more water falls, the block of ice gets larger and larger. Eventually, it can form an ice dam on your roof or become so heavy or large that it cracks the gutter or causes the gutter to collapse. Well, it’s definitely not a fun task, but it has to done. The only solution is to climb up on a ladder several times a year and clean those gutters thoroughly, to remove the leaves, branches, stray tennis or golf balls, and other debris that has collected there. It’s a time consuming job, and yes, it can also be dangerous. Getting up on a ladder always has an element of risk. If you want to get the job done safely and professionally, call San Antonio Rain Gutter Pros, the area’s premier gutter service company. 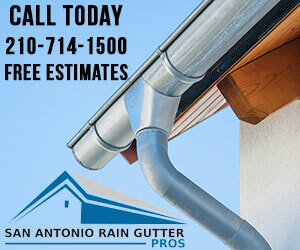 San Antonio Rain Gutter Pros can handle all your gutter cleaning and maintenance needs.